As we are now in September, it is time to mention the subscription reward for this month. 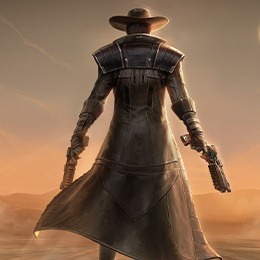 The previous rewards have been Nico Okarr as a companion, and his blaster pistols, but now you can earn his duster jacket. All you have to do is make sure you are a subscriber through September 30th to earn the reward. All the rewards will be awarded at launch of the new expansion. For more details be sure to check out the subscribers reward section for Knights of the Fallen Empire expansion. Earlier in the week, Eric Musco posted a dev note about three new blogs that will be happening over the next few weeks starting this week. The blogs will be around a specific class and its mirror on the other faction. Two of the blogs will recap the story chapters, one through three. The blogs will have some obvious spoilers and the blogs state in bold face font of this fact. This week was the start of such blogs. 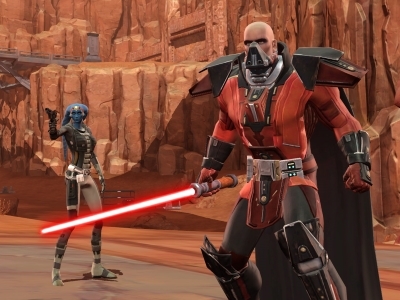 The Sith Warrior and Jedi Knight are the two class story recap blogs. The blogs are really designed for the players who plan to get a fresh level 60 when the expansion goes live. It is my understanding that the blogged stories outline some of the canon choices the fresh level 60 player will have in the backstory, instead of others who leveled 1-60 making each choice as the went along. 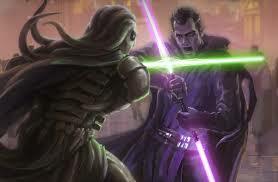 Be sure to take some time and read through these blogs about the Sith Warrior and the Jedi Knight classes. Remember that these blogs contain some spoilers. The third blog reported to be about class changes to these two mirror classes has yet to be posted at the time of writing this article. Stay tuned for details on this other blog and future blog posts. We will be streaming live this Sunday, September 6th, at 4pm EDT / 1pm PDT. Please stop by during your Labor Day celebration to cool off. Join us as we discuss hot topics, maybe a cool refreshing beverage and of course we will be having all kinds of fun. See you there! Huh…nice! I’m anxious to see how big these changes are! I assume the recaps are a recap of their 1-60 class story? So…spoilers I imagine? Yup! We are going to call that out in the blogs as well that they are spoilery to the 1-50 Class stories. The story blogs arn’t for the veterans. They are for people who need a bit of a short story to explain the storyline of each class without actually doing the story. This is part of it for sure. 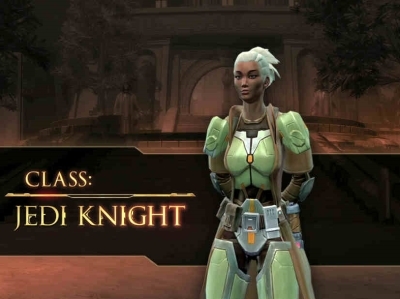 Also, since in Fallen Empire you have the ability to start at level 60, these blogs will be a resource where you can learn about the Class stories as well! The two dev post questions and answer are from the SWTOR forum thread discussing the new blogs to be appearing on the main website over the next few weeks. 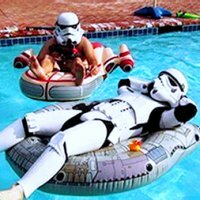 Yes, true to their word the first two blogs have been posted, the Jedi Knight and Sith Warrior. The blogs do reveal major plotlines and such. The blogs clearly state, in bold face font, that the blog contains spoilers. I’m not sure about this move to “give out” the story in an open way. In the second reply, Eric mentions that the story blogs are to help catch up those players rolling a fresh level 60 when expansion goes live is understandable. It might have been clever to place these outlines of events in the character creation page. This would help new players trying to decide which class they would make a level 60 and avoid giving out spoilers to the masses. That is my take on the subject. What do you think? Please let us know in the comment section below. 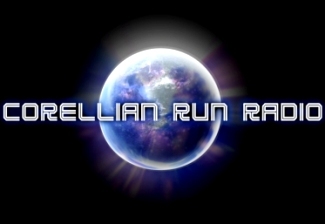 This Saturday, September 5th, around 3pm EDT / 12pm PDT there will be a RP-PVP event happening on the Ebon Hawk server. This event will be held in a Nar Shaddaa Stronghold. Why would you decide to besides having fun? This week, I found a video by YouTube user Revan’s Legacy. It is a bit longer than most of the videos we highlight, but I believe it is a good example of fan generated content. The story has me intrigued even though this video is only part one of three. Some of the lines seem out of character, but overall the dialog is intriguing and I am eager to see where the next part takes us. The minor issues in dialog are easily forgotten when the audience sees the amazing fight scenes and location filming in the video. I can just imagine the number of takes and the amount of video footage used to edit this fan movie. It is only one part of a three part story, but it looks really amazing. Take some time and view the fan fiction video right below. HoloNet Links Looking For Group- Thoughts on PAX Livestream!